Tecan Brooks Remp ACD 96 Automated Capper / Decapper Sample Prep 1004212 . New Life Scientific, Inc.
Mfg. 2010 - Includes 90-Day Warranty. * Compact, lightweight and portable bench-top design. Our on-site New Life Scientific technicians tested this unit in manual mode and everything worked perfectly. They were unable to run an auto cycle without the correct racks. 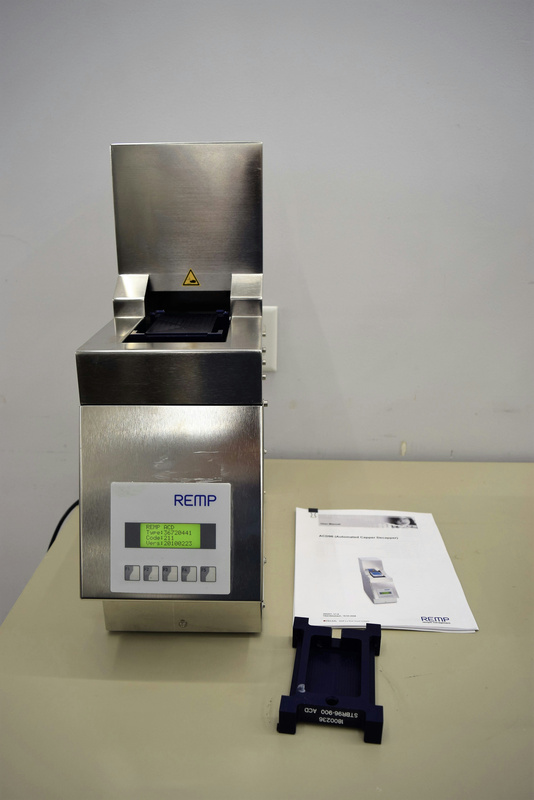 The REMP capping system is used widely for both biological and compound samples. The ACD96 automatically uncaps and recaps all tubes within a REMP storage tube rack. It can be integrated into an automated system or used as a standalone unit.